A best of kind example of an imaginative interpretation that combines two distinctive patterns. Check the workmanship, materials, embroidered embellishment, and composition! The two squares in alternation, on point yet, are each intricately pieced with fine scrap wools. Plus the composition is framed with double borders to make it dramatic to hang as art on the wall. 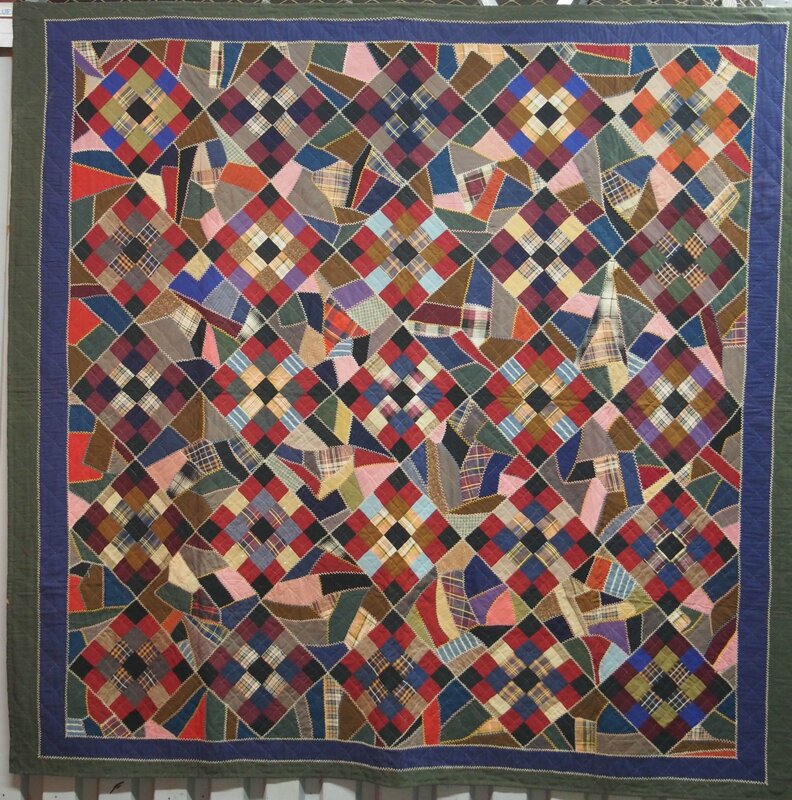 Despite the complexity, this harmonious composition is refined with uniform stitchery outlining the seams and borders, a detail seen often in Mennonite quilts from the Berks County area.